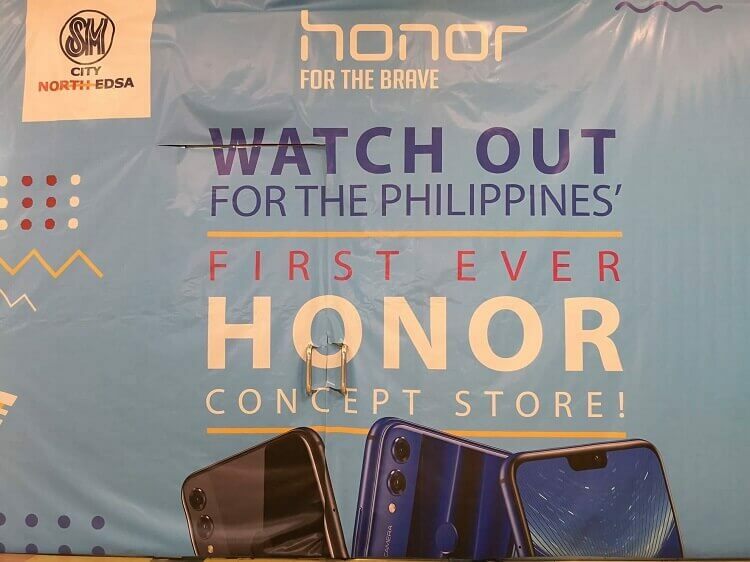 Home Honor News Smartphones Spotted: Honor Set to Open PH's First Concept Store! Spotted: Honor Set to Open PH's First Concept Store! To strengthen its presence in the local market, Honor Philippines is set to open its first concept store in the country. Our team spotted the upcoming store of the brand, which is still under construction. But to make it obvious, its wall has a teaser statement saying “watch out for the Philippines first ever concept store!” It is located on the 3rd floor of the SM North EDSA Annex, just across the newly opened Mi Authorized Store. Through this move, Honor Philippines will be able to keep up with its rivals as its devices will be available offline, as well. As a refresher, the brand successfully got consumers' attention when they launched the Honor Play in the local shores. However, many still wish that they can also score the device in a physical store. We have no words yet about its opening date, but we can expect it to happen this October. In addition, Honor is also preparing to launch the Honor 8X on October 10, suggesting that it could be a double celebration for the local fans. We’ll update you as soon as we hear new details! So, stay tuned!